Self-starter, Jeremy Balyk, sits with a black book by his side. 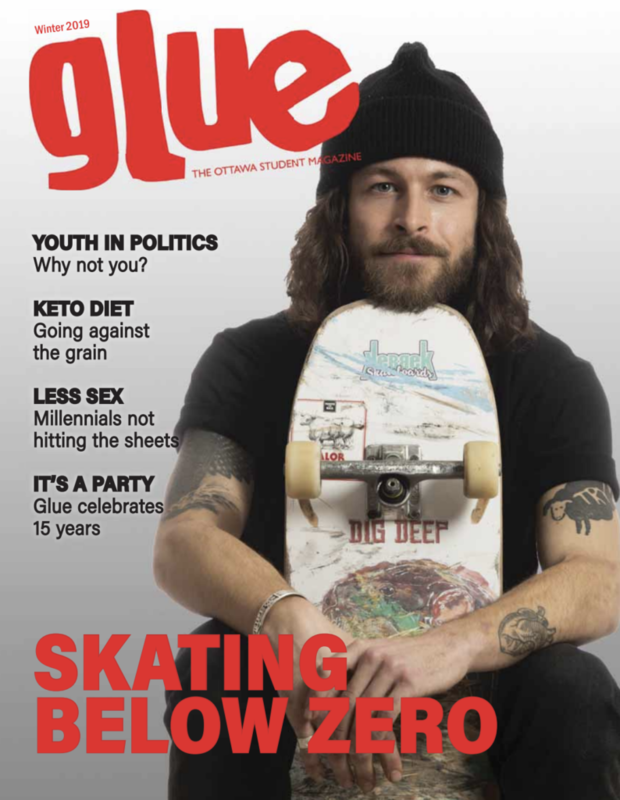 The front cover is flipped over as he speaks about his love for design, mountain biking, hockey and his new-found business venture set to launch in April. The cover reads, “Life Begins at the End of your Comfort Zone” in capital white letters. Balyk’s countless ideas, working projects and conceptual solutions to a range of problems fill the pages of this simple black book. “Yeah, I’ve got about four of these at home,” he says. His current product, called the Tallos brace, was just one of many ideas he has conceptualized and designed over the years. From the product’s initial design to several pages later, where the final concept is labelled for prototyping, you can find it all recorded in this black book he takes everywhere. When he looks at the inches of paper – a visual representation of the last three years he has spent developing his product – Balyk smiles and flips quickly through the chapters of his work. 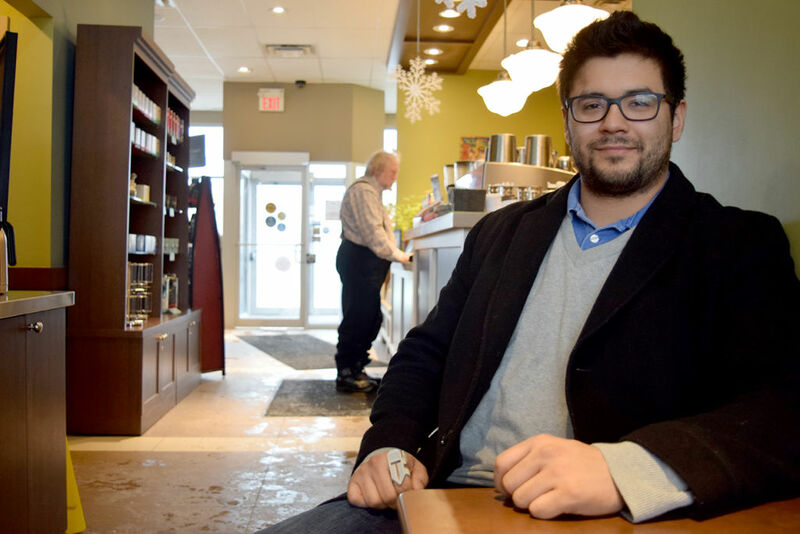 The 23-year-old Edmonton native is in his second year of Physics at Carleton University. When he isn’t busy with schoolwork, paid work and events with his fraternity, Balyk is developing his product for market. With his love for mountain biking and a lifelong passion for design and problem-solving, Balyk created the Tallos; a first-of-its-kind ankle brace for mountain bikers. From amateurs to world-renowned professionals, mountain bikers all encounter the same issue – a lack of stability and protection for their inner ankle. The Tallos uses a combination of plastics and foam padding to brace around the ankle. The added support and cushioning reduces the risk of ankle injury; something mountain bikers struggle with constantly. Working with his friends in B.C.’s professional mountain biking community, Balyk plans to launch his product in April. Taking on the assembly and the majority of material-purchasing himself, the initial product order is for 500 units with an expectation to increase in the coming months. B.C.’s mountain biking community and trails gain global recognition every year. The province’s trails have received sponsorships from large corporations like Red Bull and play host to international competitions including Red Bull Crankworx. The growing industry brings in millions of dollars to mountain biking communities like Squamish and Whistler, making it an ideal starting point for the Tallos. Balyk’s partners in the project will use the product and network among the mountain biking community to market, promote and gain feedback on its design. Not only has Balyk created a game-changing product, but its selling price competes against standard ankle braces. Initial pricing is set at $50 to $55, so Balyk’s product beats conventional ankle braces by $5 to $10, benefiting the product and buyers. While this product is Balyk’s first one put to market, the young entrepreneur has always been a designer of innovative products. It wasn’t until high school, however, that Balyk realized he could turn this hobby into a potential career. Ever the innovator, Balyk worked with his father, a shoulder surgeon, on a mechanical joint brace that would improve patients’ strength and range of motion, post-surgery. Another chunk of pages in his black notebook is committed to that too. For Balyk, it has been a little bit of what you know and a lot of who you know. With his connections to B.C.’s booming mountain biking industry, a fraternity network that is constantly growing, and connections in Edmonton with manufacturers, Balyk has created a foundational network for pushing his product to market. His sponsorship and network with veteran self-starters has helped Balyk through the process. They’ve given insight, financial support and marketing tips – something Balyk (admittedly) needed in order to get his product off the page and onto the biking trails. Provided the product succeeds, Balyk plans to expand production and eventually bring the product to Ontario and other provinces. A growing mountain biking industry is expected to help the demand for Balyk’s product. After finishing pitches to the RCMP and other Canadian police forces, Balyk is moving into the early stages of his next project: a mechanical joint designed to aid police in carrying, moving and supporting heavy weight. Whatever Balyk’s next project may be, one thing’s for sure – after some flipping through, you’ll find it in that black book with the white capital letters.